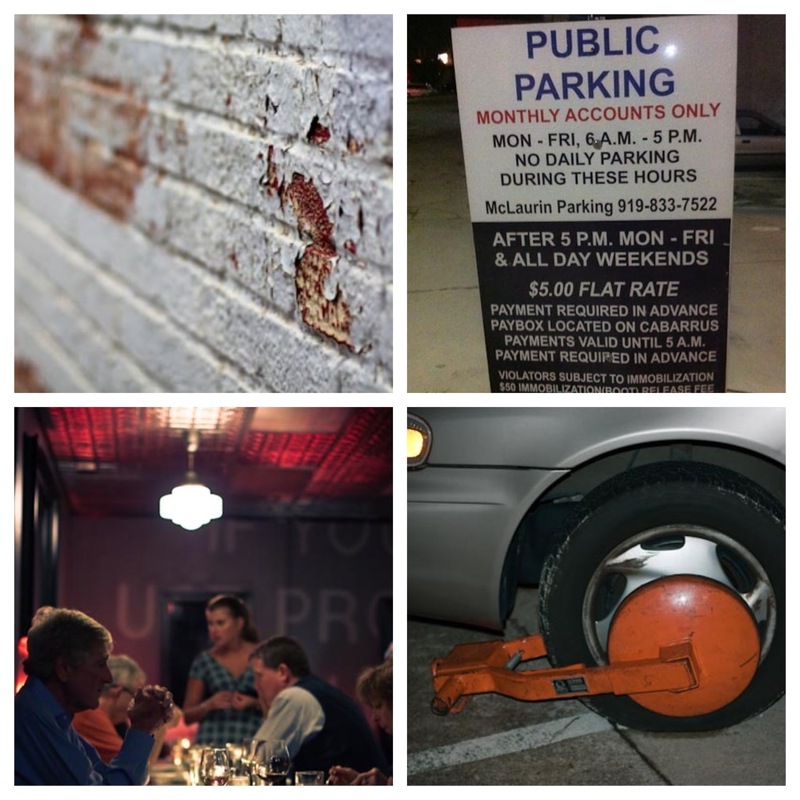 Fresh off this great read at the New York Times, I decided to push out this post about one of my favorite topics when discussing urban areas; parking. I’m not sure why it fascinates me but it’s so interesting to hear people complain about it when it is proven that our parking decks are around 30-40% vacant. Paid parking is also helping businesses in downtown and the newly installed meters are working, but there is always someone who wants to complain. Fascinating isn’t it? Anyway, Tyler Cowen’s article in the New York Times suggests we should be raising the price of parking and that sometimes the value of the land is worth more then the car that sits in it. For Raleigh, if prices went up, then the mass transit system needs to be a worthy alternative for everyone. Better sidewalks and bike lanes could help too. All these alternatives would ease people’s worries about paying for parking. You know I love options. 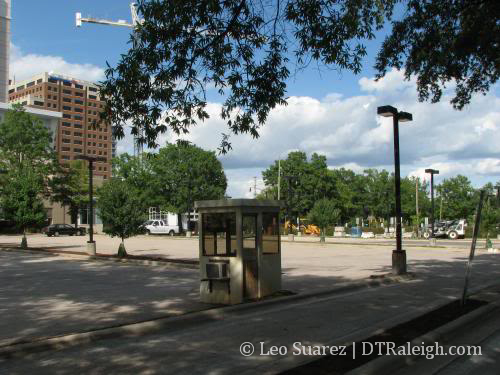 I wrote up a post almost two years ago, listing off some surface parking lots in downtown Raleigh that would be great for new developments. Make sure to read that post for some background. 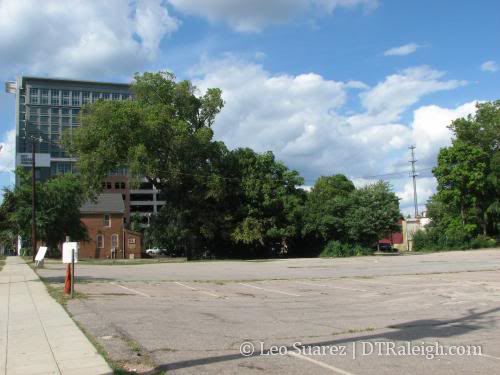 So as a follow up to that one, here is a list of really expensive land in downtown Raleigh that is used for surface parking. This information comes straight off Wake County’s website and I used their iMaps to find the real estate information. For each parcel, or group of parcels, I’ve listed the total assessed value. There are some parking lots that are in downtown but are part of a property that includes the building so I have not included those as we are only focusing on the parking lot and I can’t even start to think about making an accurate guess to its worth. 109 East North Street is the address of the parking lot at the corner of Wilmington and North street, across the street from the government district around Halifax Mall. The lots here were part of the Blount Street Commons project which has stalled recently and while new townhouses are sprouting up near Krispy Kreme, no mixed use buildings are on the radar for Wilmington Street. The empty lots around the Lincoln Theatre on Cabarrus street and the Pope House on Wilmington Street, shown above, are cut and carved into about 17 different parcels. There actually is a middle street dissecting the block but paid parking lots are all that is there. Sites 2 and 3, shown above, are referred to as the lots in front of the Progress Energy Center for the Performing Arts and they are mainly used as parking for events at the center looking down Fayetteville Street. Plans for this block have never materialized and I haven’t seen anything that had a chance in the last 5 years or so. Parking it will remain for now. Those are the five most expensive that I found. Here’s are the next ten. The last lot I want to point out is the six, yes only six, space lot at the corner of Hargett and Wilmington Streets having a value of $255,390, shown in the top photo at the beginning of this post. This is a perfect example where the space is worth more than most of the cars that sit in them, around $42,000 per space! The question to take from this; are we using our land to its most benefit? I see evidence to prove that we are not. Leo, you did a great service to the downtown community by pointing something very important: land use. There are certainly pros and cons to raising taxes, just to ensure that we do not end up with underutilized spaces. I don’t have any answers but I will make some observations. As you may know, I am a big fan of [well designed] skyscrapers, historic preservation and a superb urban experience. While replacing all the major parcels with useful projects should be one of the goals, DT Asheville provides us with a good example of what a vibrant downtown can be, even with a ton of un(der)utilized parcels; they really do have a ton of those. Replacing empty lots with smaller buildings (i.e. Hue) is nothing to brag about. In the heart of our city, we should use every major lot for buildings much taller than our tallest ones. There are plenty of smaller parcels to build lowrises and midrises. 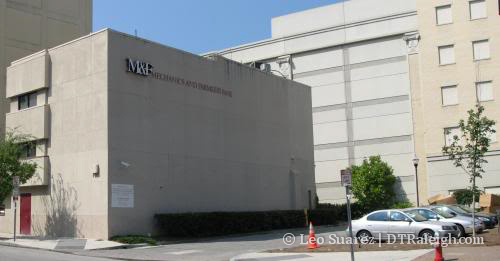 Allowing the demolition of existing buildings without having a project finalized and ready to go would be foolish (i.e. The Hillsborough). Nothing should be demolished prior to the time when the developer is ready to go, with financing secured and space pre-leased/pre-sold. First Citizens Bank pulled a major trick on us when they demolished a great historic midrise and then cancelled their plans for their ~30 story tower – RBC Plaza is built on that lot. I don’t remember if they were responsible for demolishing yet-another gorgeous midrise, where they now have that ugly 5-story crap, to the North of RBC Plaza. Sites 2, 3 and 4 will provide a great opportunity for both city leaders and developers. We should never get garbage like the new Marriott Hotel (more appropriate for a near-RDU location), or proposals by developers who simply drag their feet indefinitely. When the economy turns, city leaders should waste no more time. Publish RFPs that will be “aggressive” and “demanding”. I don’t want to see anything like 10-15 story buildings any more. Our city leaders should become strict in their selection process and take more time if the proposals don’t meet our requirements. One word of caution, though: The last question in this article is a risky one: If the parcel belongs to the city, then it is easier to answer the question, but what happens when a large parcel doesn’t belong to one entity? We can’t expect private entities to follow our vision… We simply don’t have the right, nor should we try to step on other people’s toes. However, there is one thing that could make a difference and that is “incentives”. Easier said than done, but incentives is the key word to our city’s success. Thanks for this inspiring article. I think it is well researched and presented. I’ve been thinking about something similar for my website for years now, but never had the time to investigate as much as I wanted. Great work!!! I’m also amused by those who complain about downtown parking. 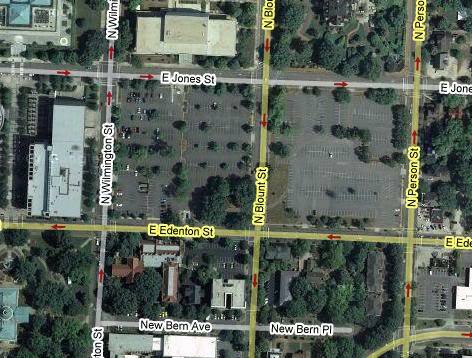 It’s ridiculously easy to park in Raleigh, especially in the evening or on weekends. Those who complain are the same people who circle the Target parking lot looking for the spot right in front of the door. They feel entitled to park 5 feet away, and anything further would devastate them. Kevin, you are so right about it! The level of ignorance and laziness is alarming, especially when misinformation comes from those who can hardly find the location of DT Raleigh in the map. So glad I live downtown and don’t have to keep up with this anymore, since I rarely drive, but yeah, when I do… SO EASY. Someone needs to talk with whoever designed that sign. It’s ridiculous! Has anyone heard anything about WakeTech creating a ‘Central Campus or Building” Downtown? There was some discussion of them perhaps starting with their culinary program and some outreach courses for downtown residents and workers. ^It would probably help though, if downtown had housing that a college student could afford. Which is rare–I’m in my mid 30s and still can’t afford to live downtown, so I doubt many Wake Tech students would. Therefore it would need to be located near public parking or bus route. Well said, RaleighRob. I think there are areas in and near downtown that could become centers of student activity, much like Hillsborough Street. The downtown section of Capital Blvd may not be as bad for this purpose. We can kill two birds with one stone: 1) revitalize Capital Blvd and 2) bring some more students to downtown.